Combining uncompromising historical accuracy with compelling mysteries, this acclaimed PBS series comes to an emotional conclusion with three feature-length episodes. 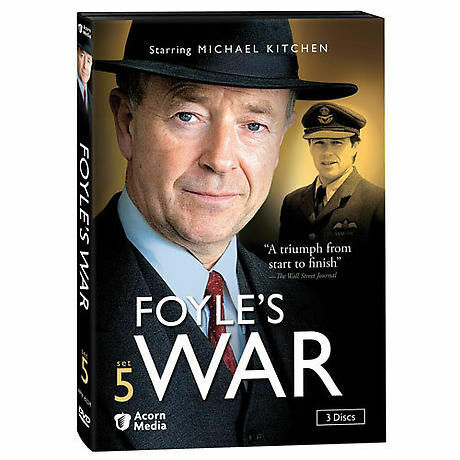 Michael Kitchen (Out of Africa) stars as DCS Christopher Foyle, investigating wartime crimes in an English coastal town. 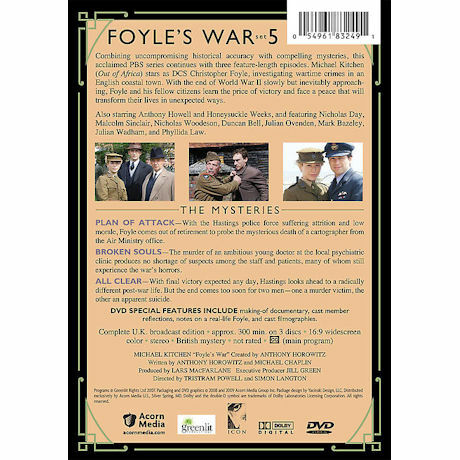 With the end of World War II slowly but inevitably approaching, Foyle and his fellow citizens learn the price of victory and face a peace that will transform their lives in unexpected ways. Approx. 300 minutes, 3 DVDs.